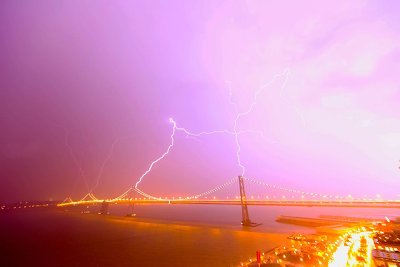 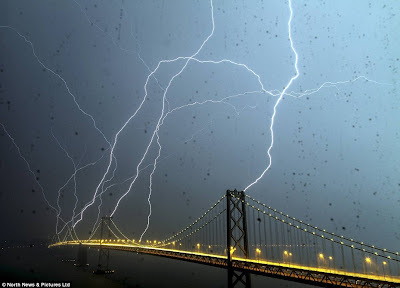 Two incredible photos of recent lightning strikes on the San Francisco/Oakland Bay Bridge. 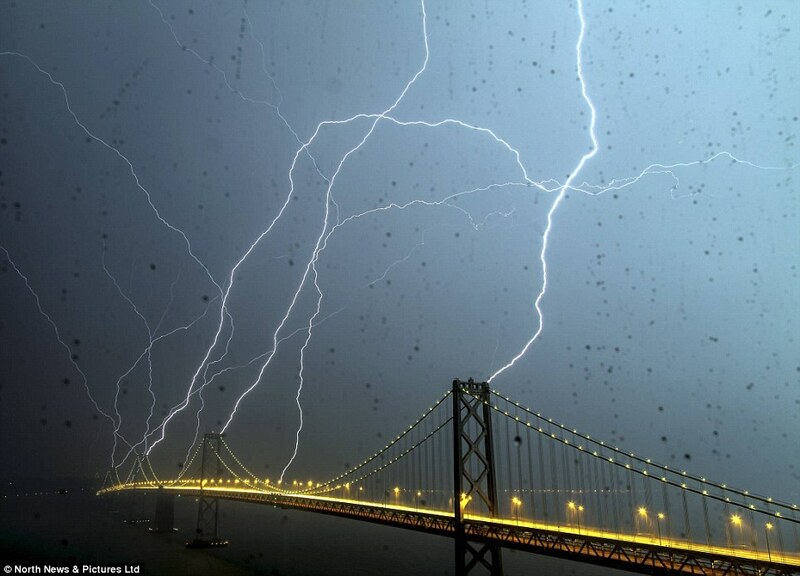 We don't get lightning very often in SF, so these shots are quite amazing. Credit: Phil McGrew, who took the photo through the rain-soaked window of his apartment.